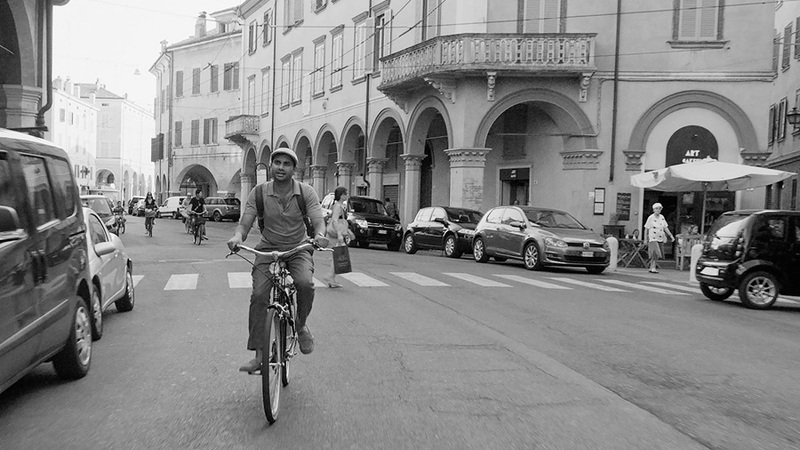 The first episode of the second season of Aziz Ansari’s Master of None (streaming on Netflix) is in black and white and set in Italy. Central character Dev Shah (Ansari) is living in Modena, learning to make pasta. Described plainly, it all sounds precious, this episode. But it has the joyous feel of a little Fellini story, featuring much food, a very cute kid and a beautiful woman who appears and then disappears. It’s very, very lovely. In another context and in a different series, the episode would be a fanciful, annoying indulgence. Here, it works with exquisite emotional precision. This is a Netflix series you can trust to stay honest and honourable. And it is a testament to the strength and vigour of TV today that such a series can be created and thrive. In the first season, Ansari created not a new kind of character – a single guy in New York in search of love and creative work is hardly new – but a new kind of ambience for such a comedy. It was bittersweet, grown-up and touched lightly but with force on the impact that Dev’s Indian ethnicity has on his life. Dev was subtly presented as an outlier in terms of his race and his sanguine outlook on life and on love. The freshness of the series was exhilarating. The show, written by Ansari and Alan Yang, emerged as a sitcom and yet unlike any sitcom, ever. (The only series that can fall into the same category of sitcom-otherness, in style and atmosphere, is FX’s Louie.) At times satiric, at times hilarious, and at other points subtly poignant, it had an emotional elasticity that was unique. The second season goes forward with the same blessed assuredness and, remarkably, it still works. Ansari is no great actor and he would not claim to be, but the stretchable tone and circumspect charm of the series is intact. There’s romanticism in this show that is never cute or comforting – it is unsettlingly real and as troubling as it is amiable. The second episode remains in Italy and it’s mainly about Dev’s friend Arnold (Eric Wareheim, who is really relaxed in the role in the second season) being in Italy for a wedding. While Arnold gleefully boasts about the women he’s met online and sends out countless selfies on his phone, he’s emotionally stuck on the woman who is getting married, an ex-girlfriend. Her, he knew. Physically, romantically, in a humdrum, day-to-day way. Her, he loves. When Dev returns to New York, he lands a bizarre but entirely plausible gig as the host of a competitive cooking show, It’s about making cupcakes. He’s good at it, which is no surprise. Food and the enjoyment of food is a continuing theme. To the point where it’s clear Ansari is mocking millennial obsession with cool, artisanal food as an idea of authenticity. Oh sure, some obscure ramen shop or a Modena restaurant offers exquisitely delicious food, but is it actually, authentically satisfying? Isn’t love of food a mere self-indulgence while love of others, and appreciation of others who love you, sit on the very, very distant horizon? That’s Ansari’s question. There is a lot going on in Masters of None and, simultaneously, there is absolutely nothing going on except a series of jokes or moments of the passionate transitory. Dev is deep yet shallow. He feels and he yearns, yet what he wants, truly, is that unobtainable Italian woman he met in Modena. Not the transitory one; the one anchored in life, food, love and engaged to someone else. She is Francesca (Alessandra Mastronardi), a charming combination of elfin and earth mother whose existence slowly stokes an obsession in Dev. There is an oddness to the Francesca character. She doesn’t seem real and, one suspects, is not meant to feel real. She is all too real in a way, but turned into a figment of Dev’s imagination through his high-blown, delusional inclination toward the fanciful ideal rather than the authentic. Master of None is as maddening as it is marvellous – genre-defying, generous, angry, funny and furiously original.